Space Hulk is a board game for two players, recreating the battles fought between the Space Marines and Genestealers. 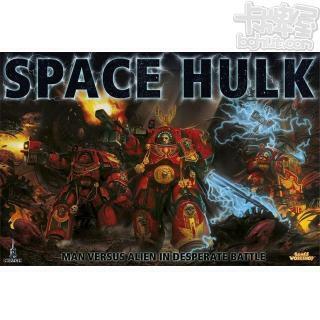 One player commands the Space Marines as they carry out deadly missions in the ancient Space Hulk, and the other commands the horde of Genestealers opposing them. Space Hulk's fast-paced rules simulate the tense atmosphere of a mission deep inside the cramped confines of a derelict space hulk, where split-second decisions are needed for victory.